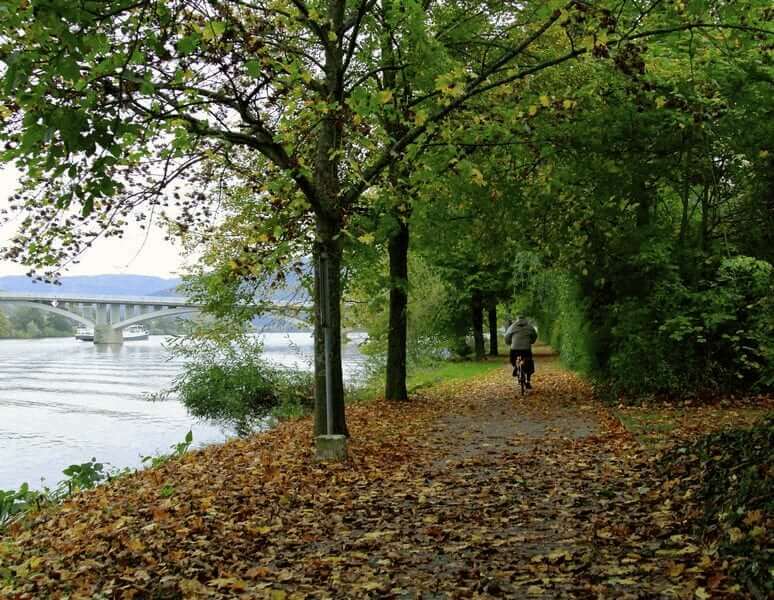 The Main valley tour is a friendly, gentle bike tour along the flat land of the river through the ever changing countryside of the Bavarian region, famous for the good wines and many historic towns and villages. 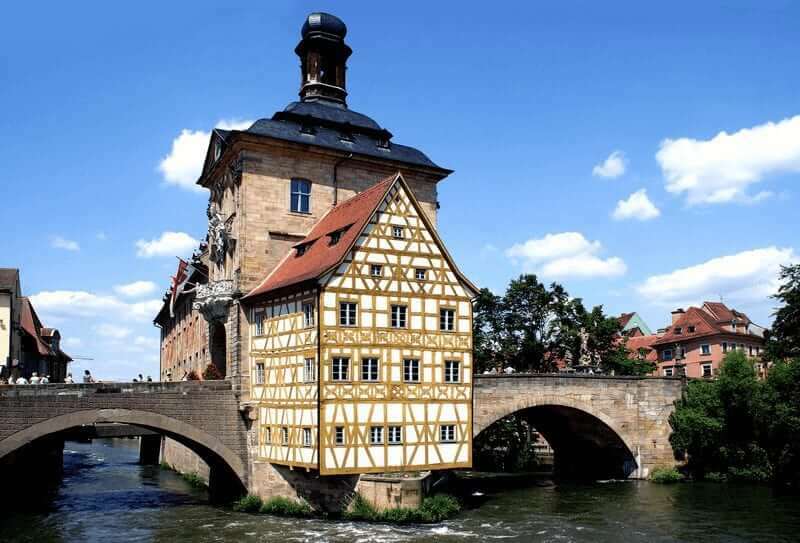 Absolute highlight of the tour is the city of Bamberg a UNESCO World Heritage City that not only embodies a thousand years of art and culture, but also remains vibrant and young at heart. The bike tour follows the river, encountering many traditional half-timbered houses within the various small villages. The region of Bavaria will impress you with its wealth of idyllic vineyards as you sail to the tranquil town of Hassfurt, where many 15th and 16th century monuments are of note. The lively little town of Kitzingen is a wine trade center. It has a reputation for producing some unique and flavorful white wines. The trek to the wine town of Volkach is filled with picturesque rolling vineyards, orchards and quiet river meadows. 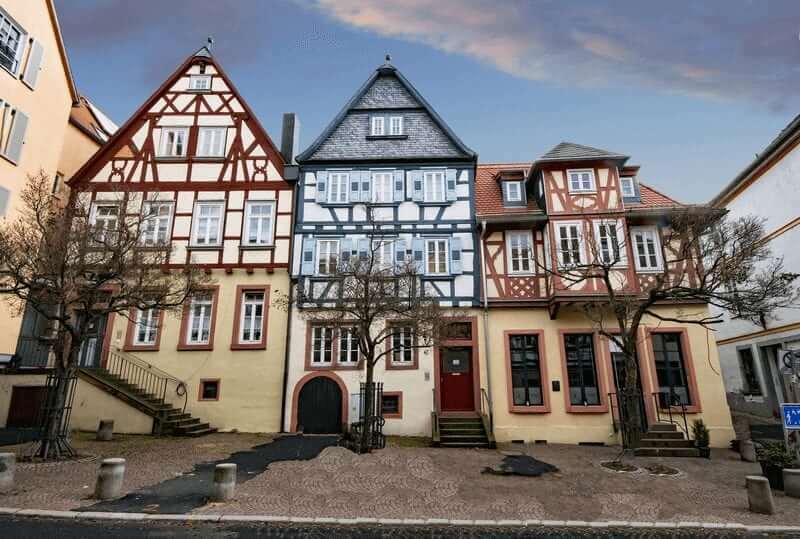 Historic Marktbreit is one of the region’s most beautiful villages with splendid houses and narrow alleys. 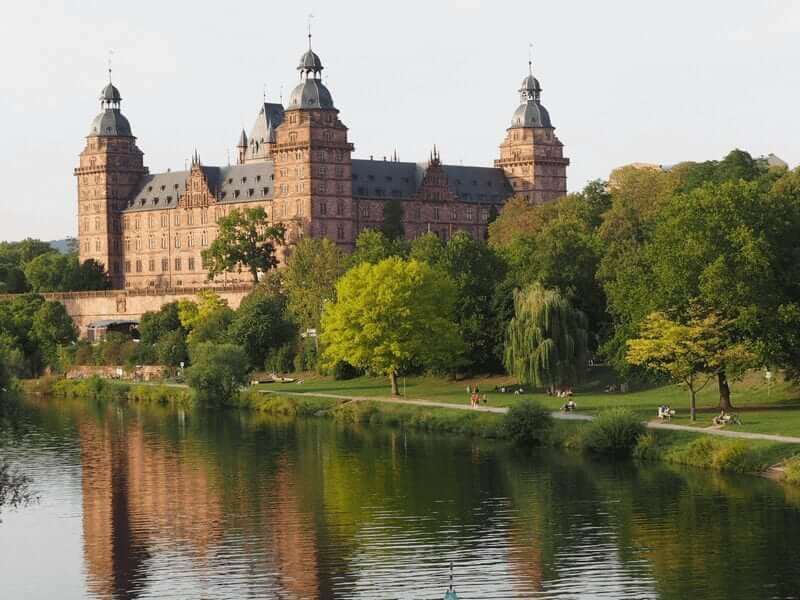 The tour will also bring you to Würzburg, Germany’s Baroque city where you will visit the Residenz Palace and gardens in rococo style, listed on the list of UNESCO World Heritage Site. 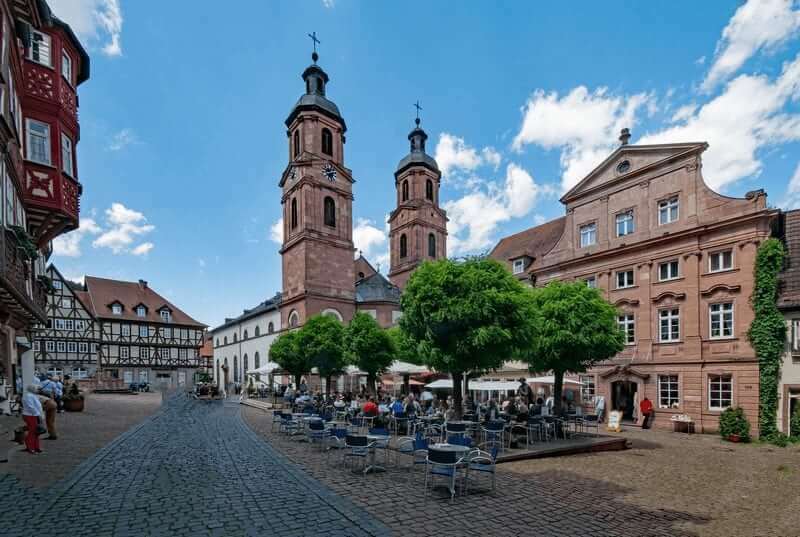 And then there is Aschaffenburg where you can visit the famous Johannisburg. Schedule/timetable: the schedule and programme are always subject to change. • If a certain route cannot be taken due to high or low tides, the Skipper retains the right to change the route for reasons of safety without this constituting any legal entitlement to a claim. Individual arrival and embarkation from 4 p.m. in Aschaffenburg, where you will stay for the night. After a welcome by the captain, crew and tour leader there is time for a walking tour town. 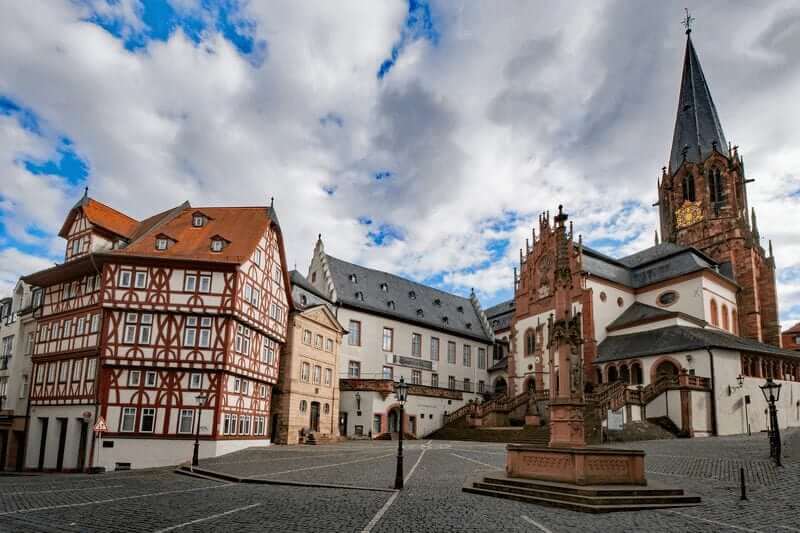 The tranquil university-city is located at the foot of the Spessart and offers numerous magnificent buildings. Johannisburg Castle, build with red sandstone, is one of the most important and most beautiful Renaissance buildings in Germany. 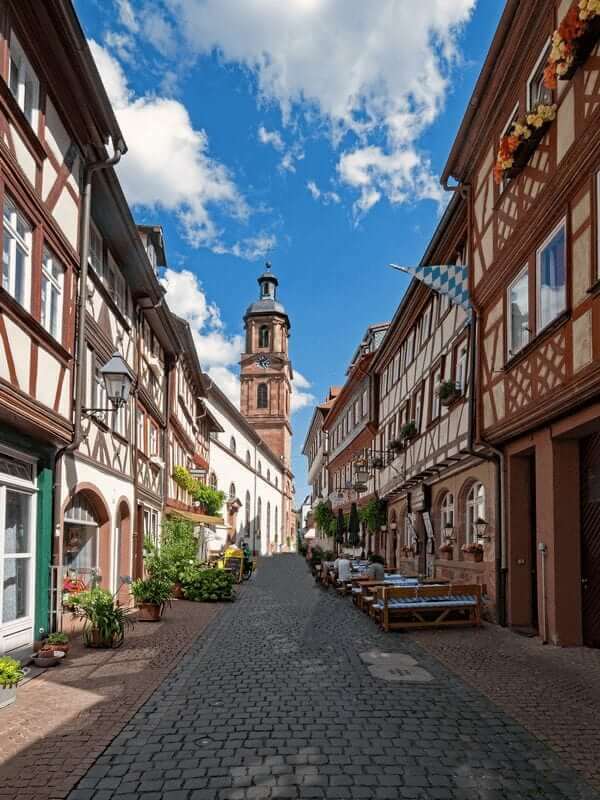 The lively center with narrow streets offers many half-timbered houses and numerous wine bars and cafes. 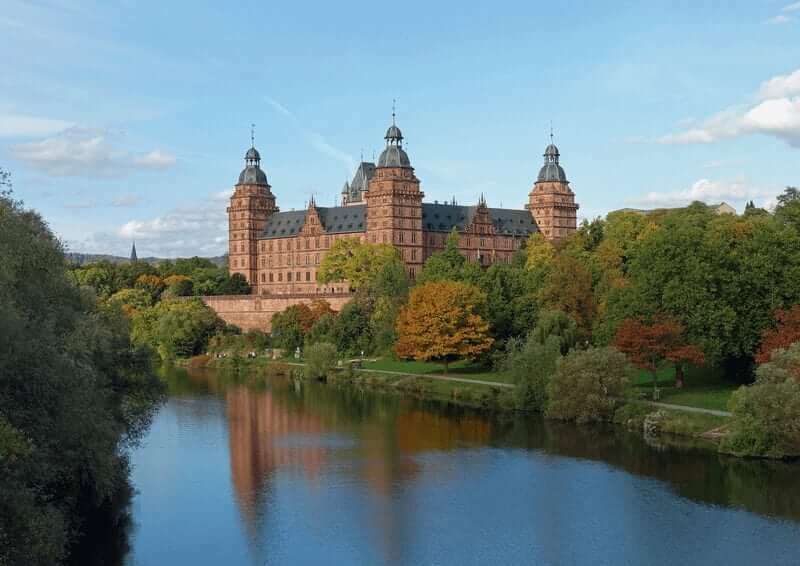 Your first bike ride leads from Aschaffenburg along the river. Shortly before you reach Bürgstadt, you can cycle either on the right or left side of the river Main. The floodplain forest between Nilkheim and Niedernheim is pleasant to ride on in the summer. You will cycle on the “planet-cycle track” from Kleinwallstadt to Erlenbach. Along this track you will find information about the universe. All along the river you will find benches or rest areas where you can rest or even take a swim. 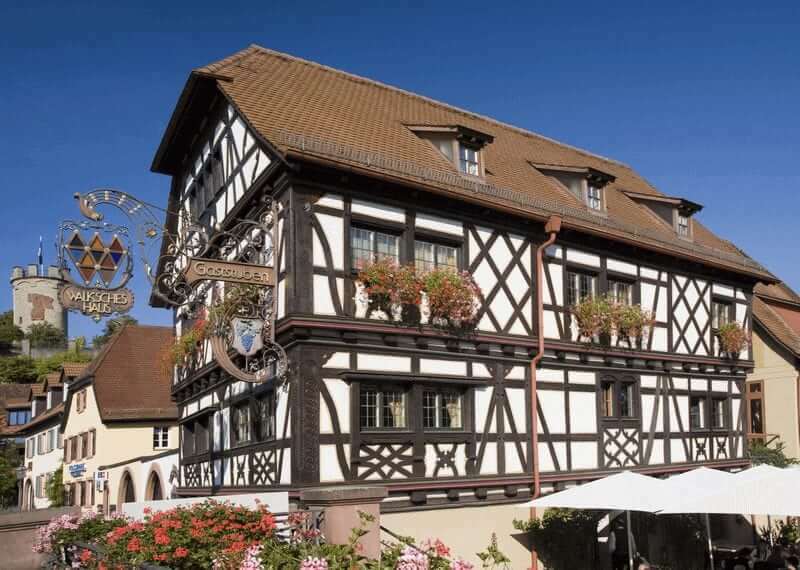 In Miltenberg, the modern hotel “Zum Riesen”, which was built in 1590, is one of the oldest hotels of Germany. Famous is also the Schnatterlochturm, where you can walk straight into the woods from the market place. You spend the night on board the ship in Bürgstadt, located about 2 km from Miltenberg. 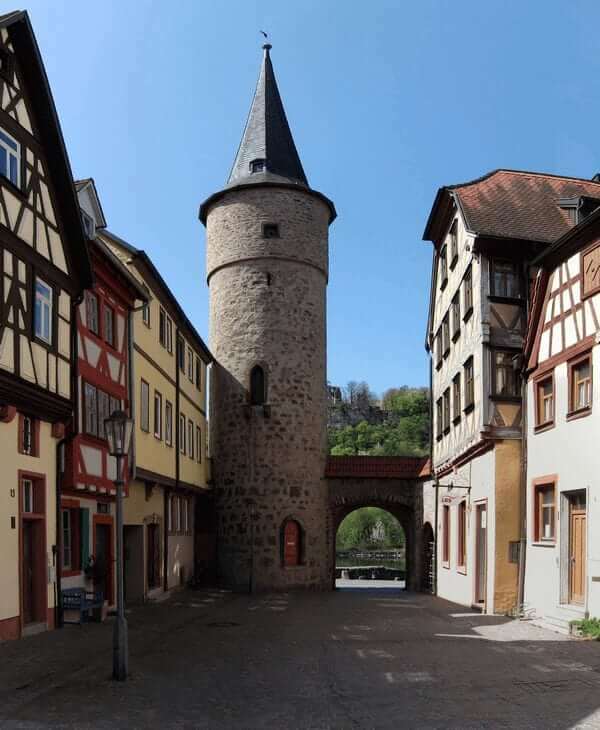 During a relaxing breakfast, the ship brings you to Wertheim, which has a castle with the same name as a landmark. 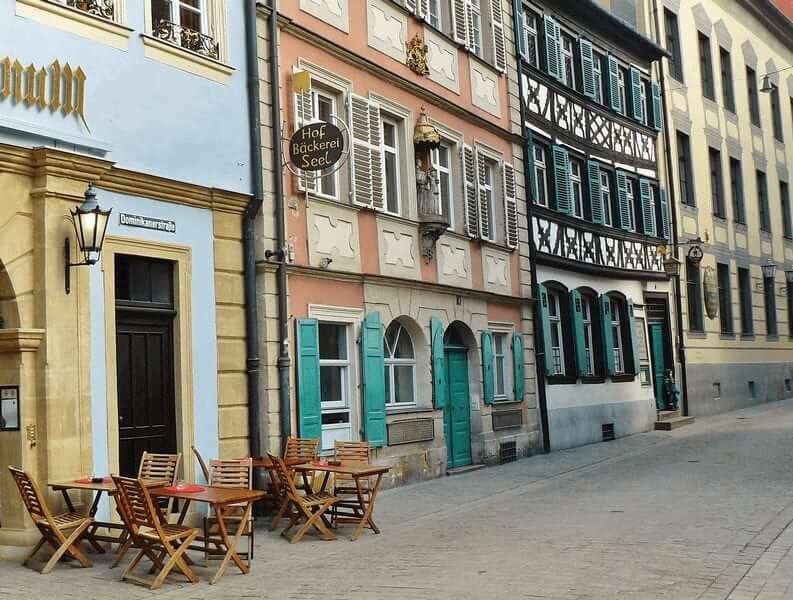 The historical market place, with what probably is the narrowest house of the Franconian land, is the center of town. From here, your bike tour starts through the typical landscape of the Main. There is much to see on the route to Lohr. Typical for the beautiful old town are the historic Franconian timbered buildings. Lohr am Main is the gateway to the lower Spessart mountains. Some people say it was the place where Snowwhite used to live…. Buildings like the castle Lohr (Kurzmainer Schloss) emphasize the enchanting character of the city. 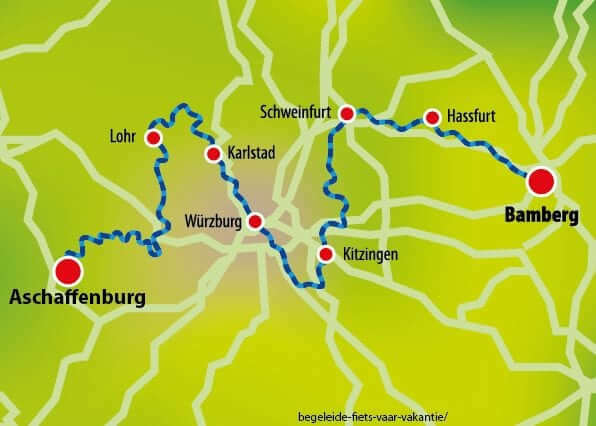 In the morning your will join the barge to Karlstadt first and start biking from there. 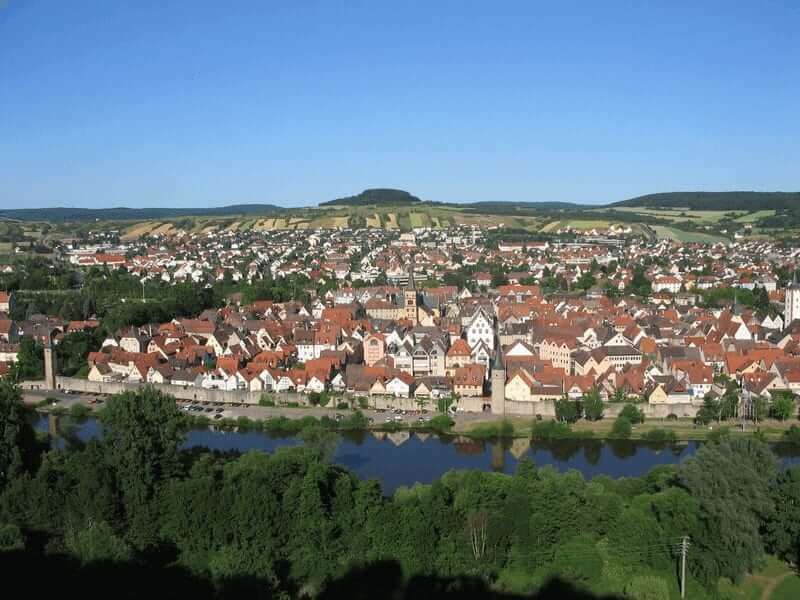 The romance of an old town and the idyll of a village – Karlstadt has both. Explore the more than 800 year old buildings in the by walls, towers and Gates surrounded old town. 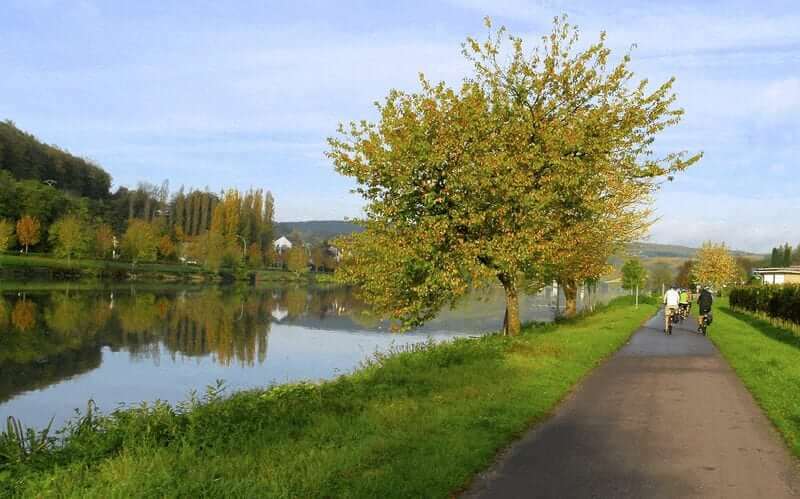 Enjoy the relaxing bike tour to Wurzburg, where you will meet the ship again in the afternoon. For sure you will visit the UNESCO World Heritage Residenz Palace, with its palace gardens and square. But there is much more to see and do. You may also enjoy the magnificent view from the fortress Marienburg and don’t forget to walk the 180-metre long Old Main Bridge, which is lined with impressive statues of saints. 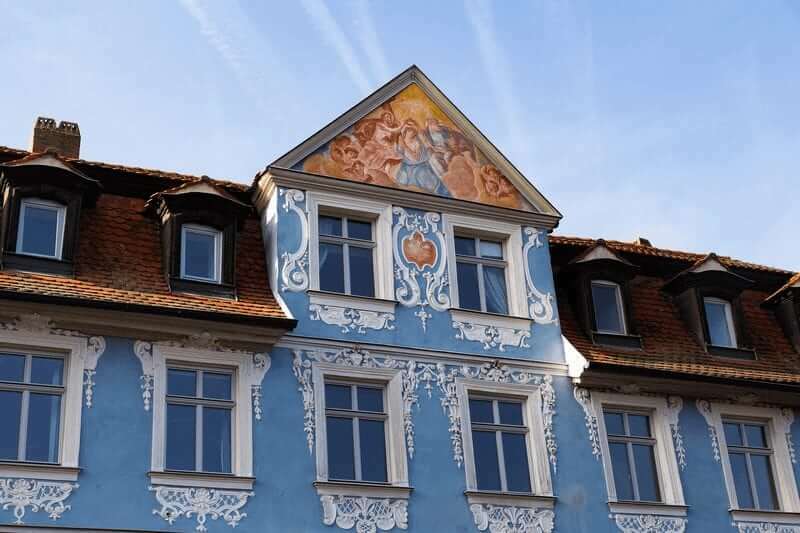 Today you will cycle along the main cycle track from Wurzburg through the fruitful Ochsenfurt district to Ochsenfurt with its lance tower that is worth seeing and through the historic village Marktbreit with its fine residences to Kitzingen. In this city wine growing is a big thing. In Kitzingen you will also find the German Fastnachtsmuseum (carnival museum). Here you will get an impression of the history of carnival; you will also find information about the medieval Franconian customs. In Kitzingen, the old and former beer breweries have changed to wine production, as the historic cellar equipment will show you. In the morning the Allure sails to Dettelbach, you can join the ship on this stage or you can start the bike tour from Kitzingen. 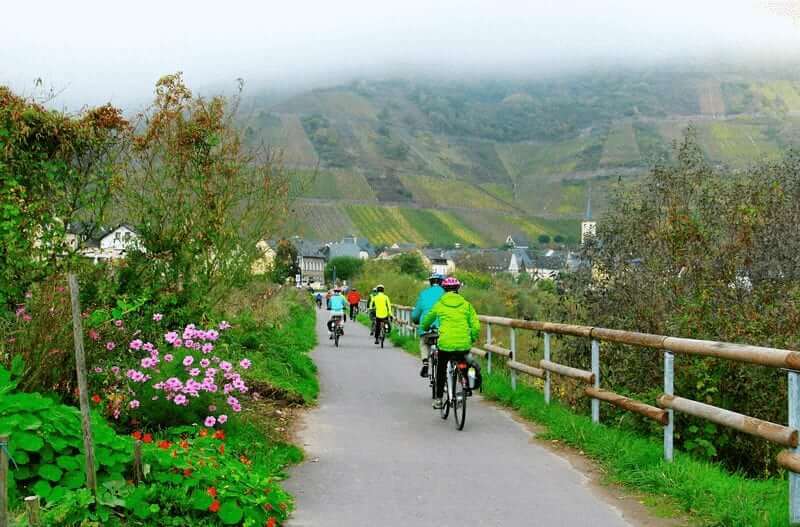 From Dettelbach your bike tour goes through the vineyards to Volkach. 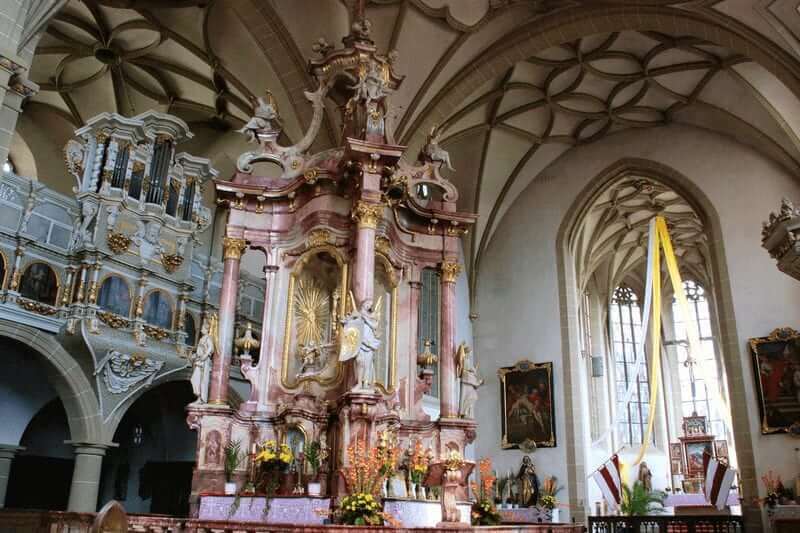 Here it is worth visiting the pilgrimage church of St. Maria in Weingarten. 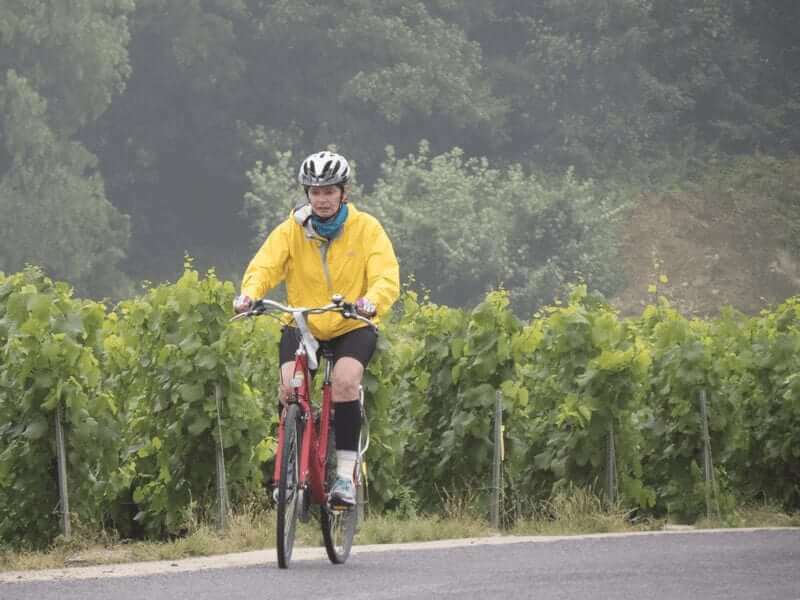 Then you go on to Fahr, where a welcome notice in the form of a wine bottle greets you, via the Volkach loop in the Main river – here the valley becomes narrower and narrower and the vineyards more and more numerous – to Schweinfurt. First you will cruise with the ship to Haßfurt. Afterwards you cycle via Zeil am Main, unique, exactly located on the borderline between the Franconian wine and beer country – to Bamberg. 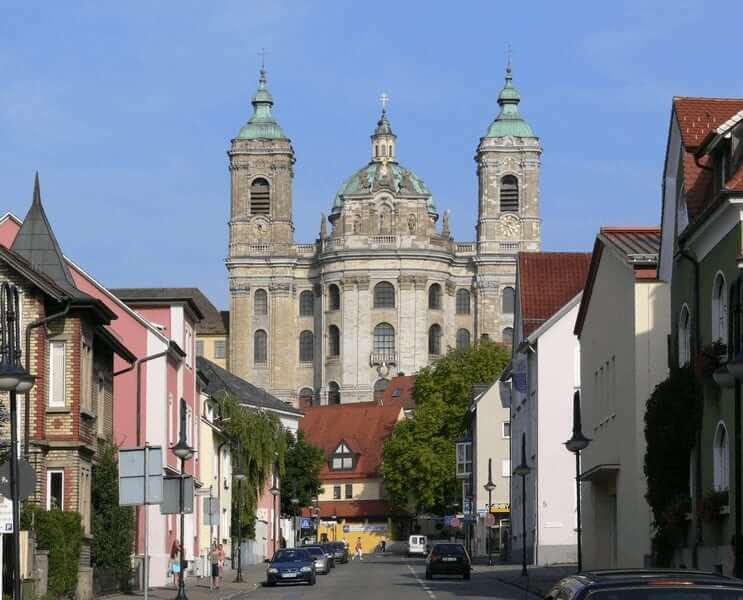 Like Rome, the city was built on seven hills and one therefore likes to call it the “Franconian Rome”. Experience the fascinating heritage of world culture. The fishermen’s quarter of “Little Venice”, a row of residences from the 17th century, is also worth seeing. If you like beer, you have to drink a nice cool beer here. There are still eleven independent breweries in the city! 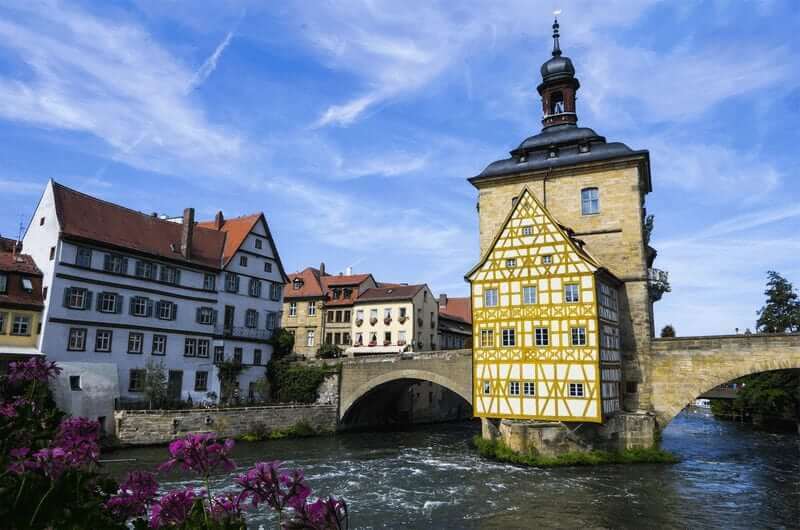 We advise you to stay in Bamberg one or more extra days, so that you will have plenty of time to discover this UNESCO World Heritage City that not only embodies a thousand years of art and culture, but also remains vibrant and young at heart. Disembarkation after breakfast until 9 a.m. End of your trip. 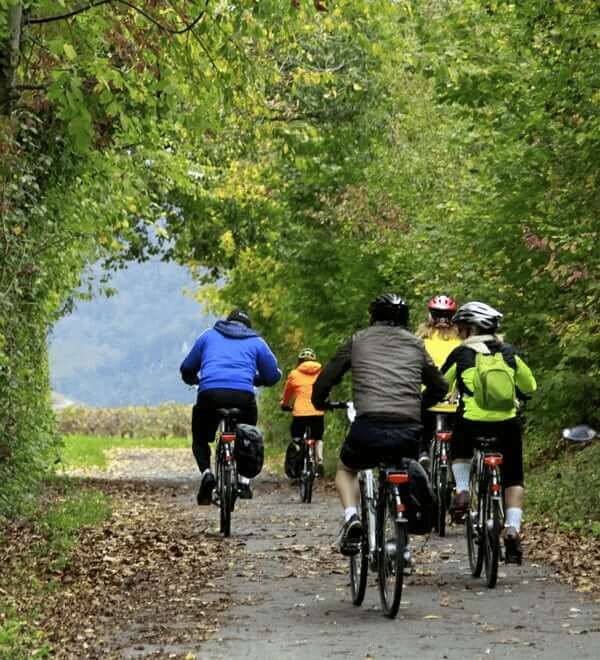 Bike tours: the bike tours are individual and unguided. They cover distances between 30 and 60 km / 18 and 36 miles. All of the stated kilometre distances are approximate distances for the recommended bike tours. The tour description is only available in German, but the crew speaks English and is willing to explain the tour in English. The tracks are well signposted. Characteristics: Almost all parts of the bike tours are easy to ride. Luggage: please make sure that your vacation luggage includes good rainproof gear (jacket and pants), a sun hat and sunscreen as well as tennis shoes. Due to the lack of storage room in the cabins we advise you to bring suitcases or bags which are foldable. Travel Documents: EU-citizens (without special situations like dual citizenship, main residence abroad or a limited-validity passport) are required to have a valid passport or ID-card, not expiring within six(6) months of the return of your cruise. We kindly ask non-EU citizens, EU-nationals with multiple citizenship or anybody who has to respect special legal entry requirements for the country to visit, to inform about visa and entry documents at the competent embassy. This trip is not suitable for guests with reduced mobility. 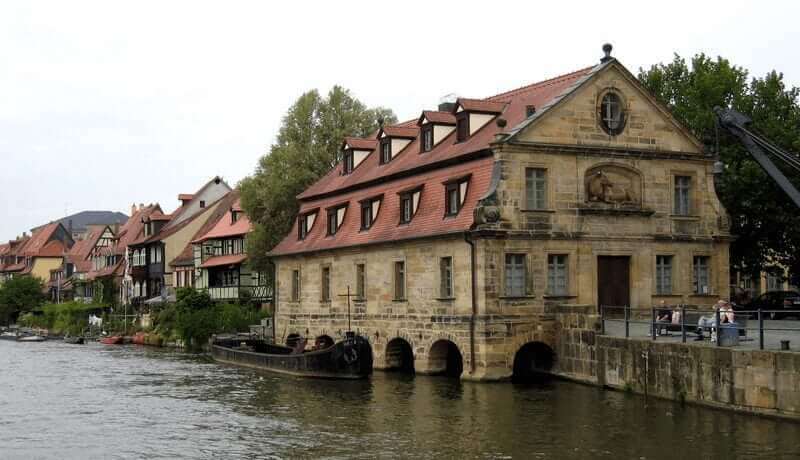 Individual arrival and embarkation as from 4 p.m. in Bamberg, where you will stay for the night. 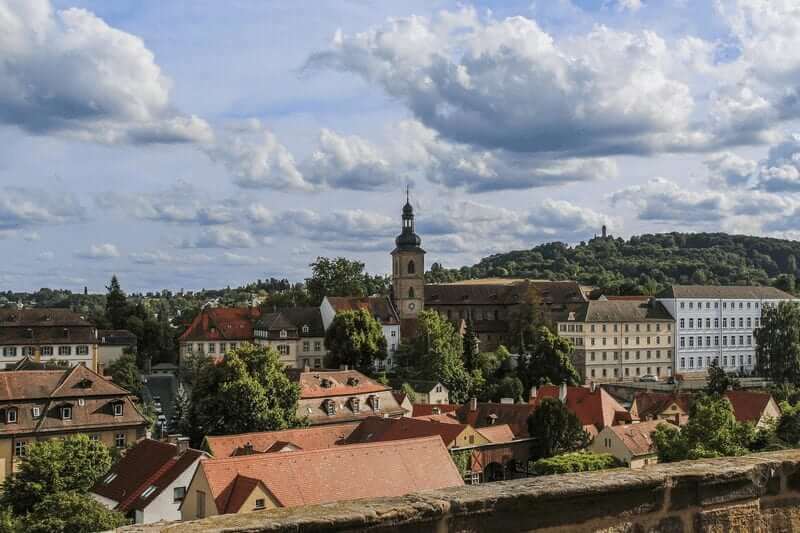 Like Rome, the city was built on seven hills and one therefore likes to call it the “Franconian Rome”. If you arrive early, you may still have the time to experience the fascinating heritage of world culture. The fishermen’s quarter of “Little Venice”, a row of residences from the 17th century, is also worth seeing. If you like beer, you have to drink a nice cool beer here. There are still eleven independent breweries in the city! Today you will start sailing to Haßfurt with it’s beautiful historic inner town. It is situated between two nature area’s and you will find several interesting religious buildings over here, like the late Gothic “Ridderkapel” (Knight’s chapel) and the parochian church with paintings of Tilman Riemenschneider. From here, you will continue cycling. 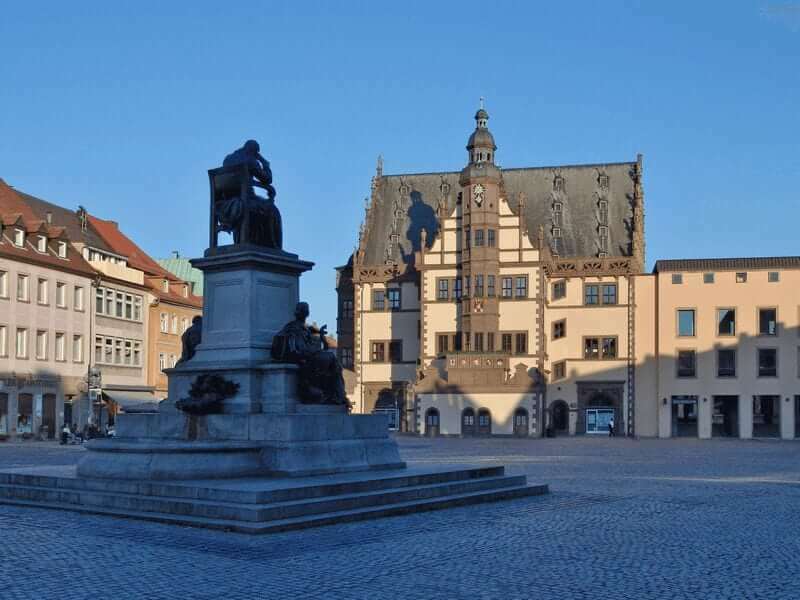 The tour will take you to the former emperor’s city of Schweinfurt. Today’s cycling tour will take you to Kitzingen. In this historical wine trading city you will also find the German Fastnachtsmuseum (carnival museum). 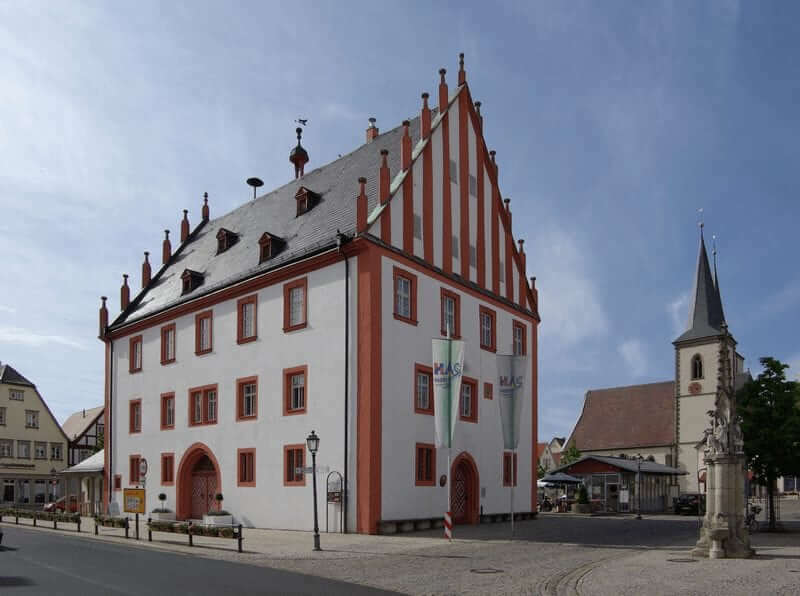 Here you will get an impression of the history of carnival; you will find information about the medieval Franconian customs too in this museum. In Kitzingen, the old and former beer breweries have changed to wine production, as the historic cellar equipment will show you. Some of the Kitzinger restaurants serve typical Franconian dishes like Sauerbraten mit Kloß (beefstew and potatoes) or Karfpen Blau (fish). If you prefer to cycle a short tour, you can sail till Stammheim and start cycling from there. Würzburg, homing several points of interest, is awaiting you at the end of today’s tour. 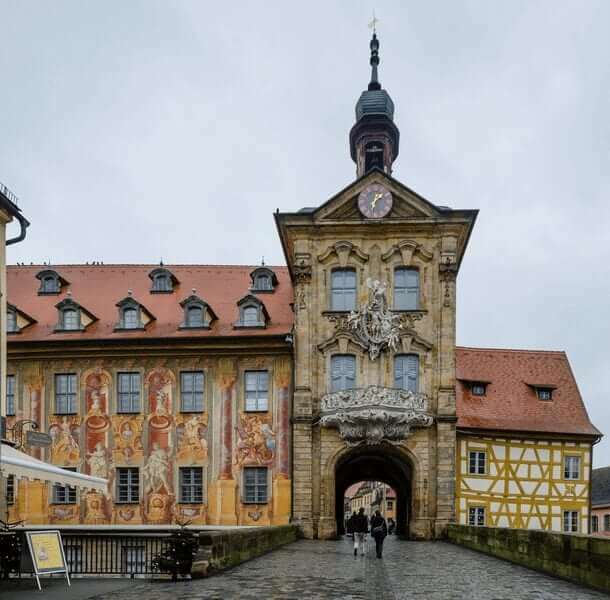 Visit the Würzburg Residenz, considered one of Germany’s most important castles, which is on the UNESCO World Heritage since 1981, enjoy the magnificent view from the fortress Marienburg or visit the Sint-Kilianusdom. Würzburg is the center of Franconian wines and is, due to the presence of several universities, also lively in the evening. 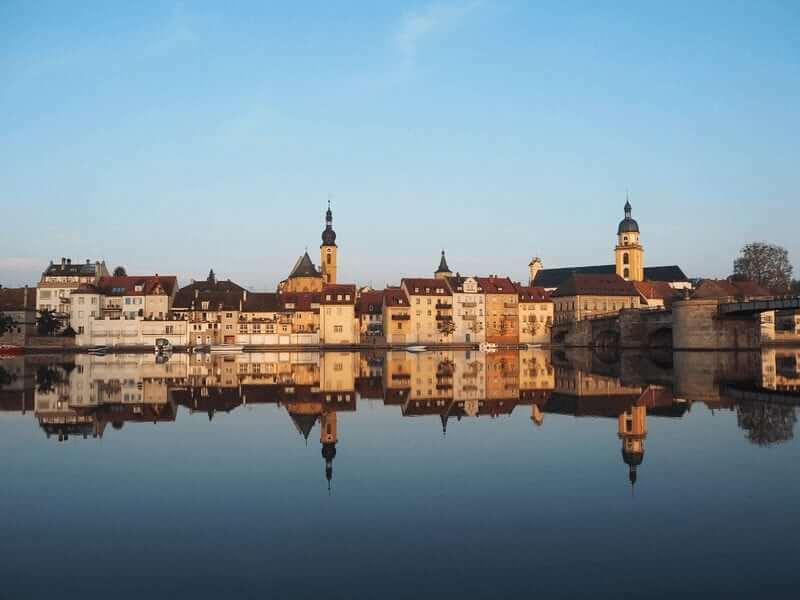 In the morning the Allure cruises to Karlstadt, where you will arrive around 10.30 hr. The romance of an old town and the idyll of a village – Karlstadt has both. Explore the more than 800 year old buildings in the by walls, towers and Gates surrounded old town. From Karlstadt you will cycle to Lohr am Main, your goal of today. 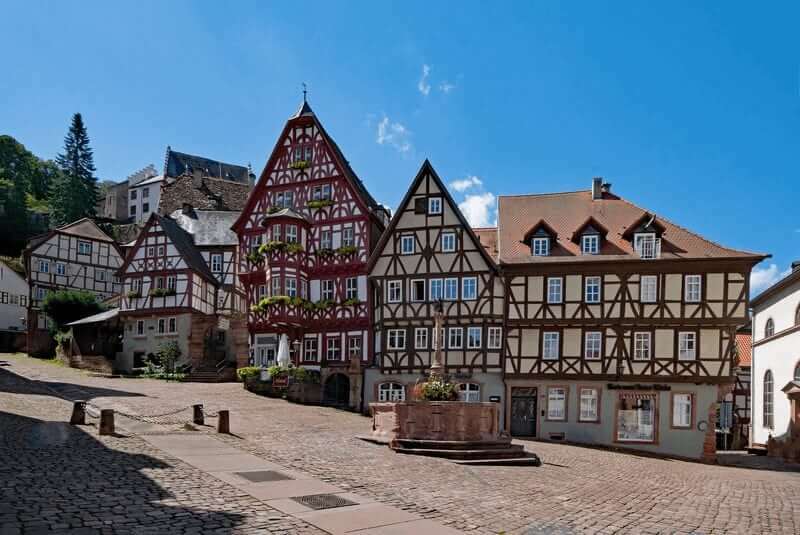 Typical for the beautiful old town are the historic Franconian timbered buildings. Lor am Main is the gateway to the lower Spessart mountains. Some people say it was the place where Snowwhite used to live…. Buildings like the castle Lohr (Kurzmainer Schloss) emphasize the enchanting character of the city. 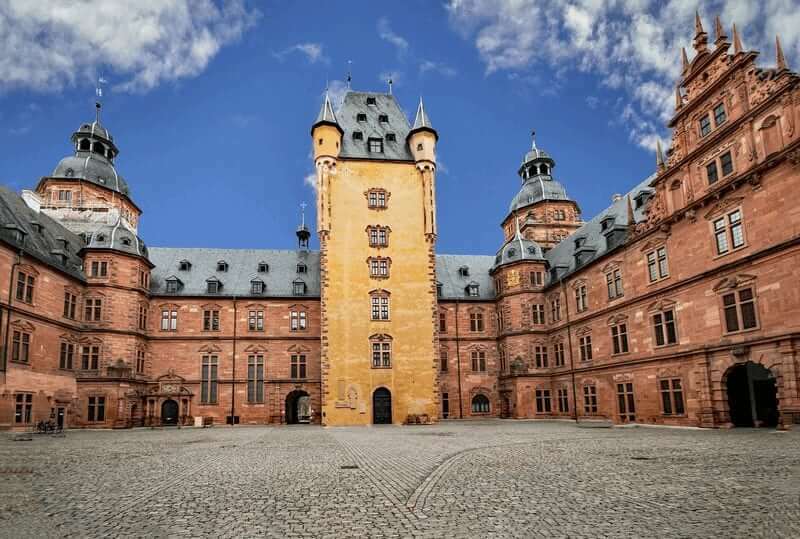 In the morning you will cruise with the ship from Lohr tot Wertheim, which has a castle with the same name as a landmark. 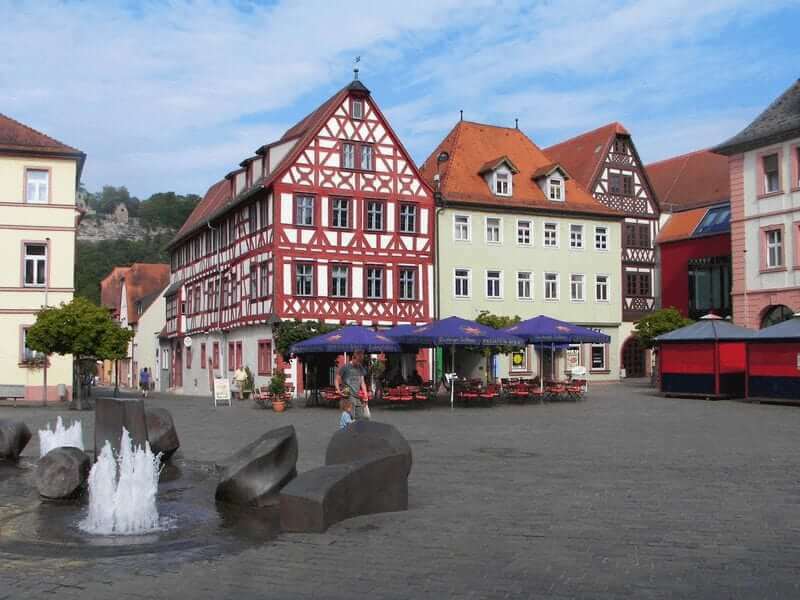 The historical market place, with what probably is the narrowest house of the Franconian land, is the center of town. Here starts today’s bike tour to Miltenberg, situated between Spessart and Odenwald. The modern hotel “Zum Riesen”, which was built in 1590, is one of the oldest hotels of Germany. Famous is also the Schnatterlochturm, where you can walk straight into the woods from the market place. Over the city you can see the castle of Miltenberg, built around 1200. The docking place of the ship is about 2 km from town center. As soon as you have left Miltenberg, you can cycle either on the right or left side of the river Main to Asschaffenburg. 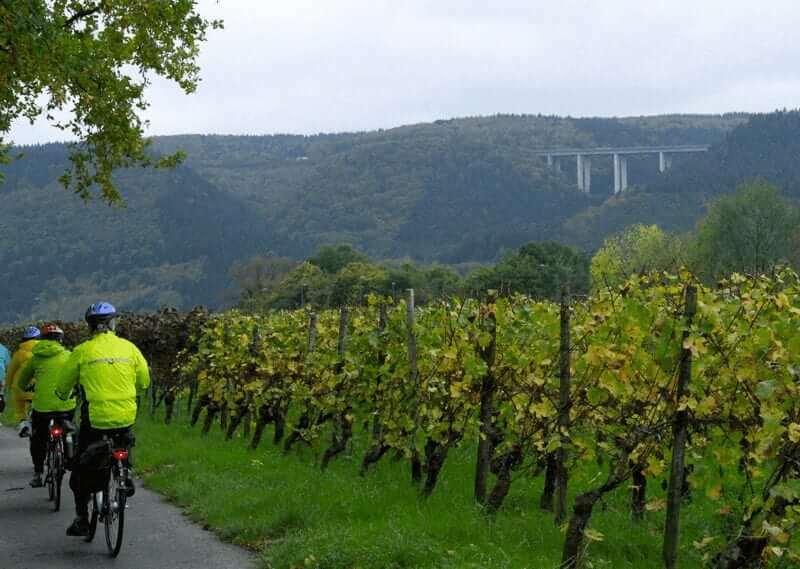 You will cycle on the “Kosmosradweg”(planet-cycle track) from Erlenbach to Kleinwallstadt. Along this track you will find information about the universe. The floodplain forest between Nilkheim and Niedernheim is pleasant to ride on in the summer. All along the river you will find benches or rest areas where you can rest or even take a swim. Your destination for today is the beautiful and quiet university city of Afschaffenburg, which offers numerous magnificent buildings. Johannisburg Castle, built with red sandstone, is one of the most important and most beautiful Renaissance buildings in Germany. 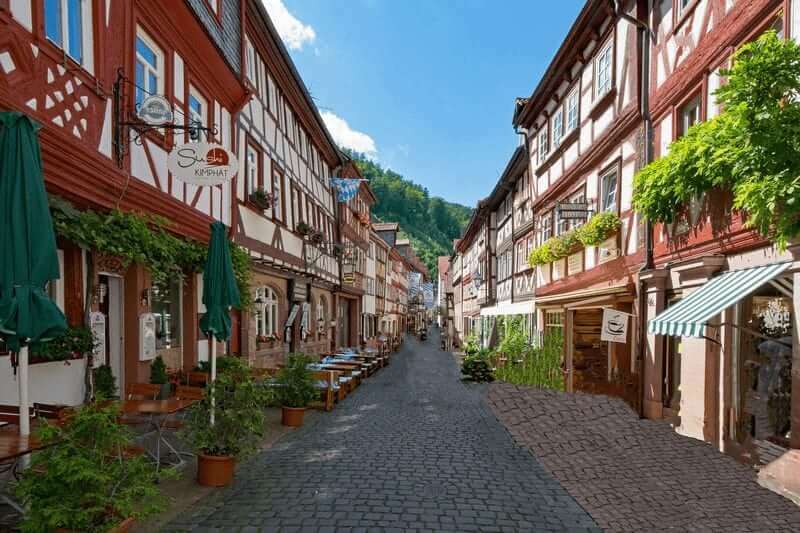 The lively center with narrow streets offers many half-timbered houses and numerous wine bars and cafes. After breakfast: disembarkation till 9 a.m. and end of the tour. Rental E-Bike (incl. rental bike insurance): € 165 per week/person (only on request, limited number of e-bikes available, early bookings strongly recommended. Only a very limited amount of E-bikes is available on these tours. Special bicycles (e.g. children’s bicycles, tandems, etc.) are not available in this area and cannot be ordered for these tours. Due to limited space on deck guests can’t bring their own bicycles or E-bikes. This is only possible in exceptional cases when you need a special bicycle or tandem. Only available in German, but the crew speaks English and is willing to explain the tour in English. The cycling tracks are well signposted. Between Aschaffenburg and Bamberg, there is a good train connection. Please visit one of the following websites for timetables, tickets or more information www.goeuro.co.uk or www.trainline.eu. Bamberg: Tiefgarage Centrum-Nord/Georgendamm 2a (walking distance to docking place), approx. €10/day or Park & Ride on the outskirts of the city with low parking rates, cheap tickets and quick bus links to the center (for example: P&R Heinrichsdamm).. Minimum number of participants: 15 guests (must have been reached within 21 days prior to departure). Legal notice: Boat Bike Tours is not the organizing operator, but the travel agent for this tour; this is a so called ‘partner tour’, available on request. Tour operator is: SE Tours GmbH, Bremerhaven, Germany. The Allure started cruising in 1998 and after a restyling the barge with its sleek lines was turned into a comfortable and friendly passenger barge. 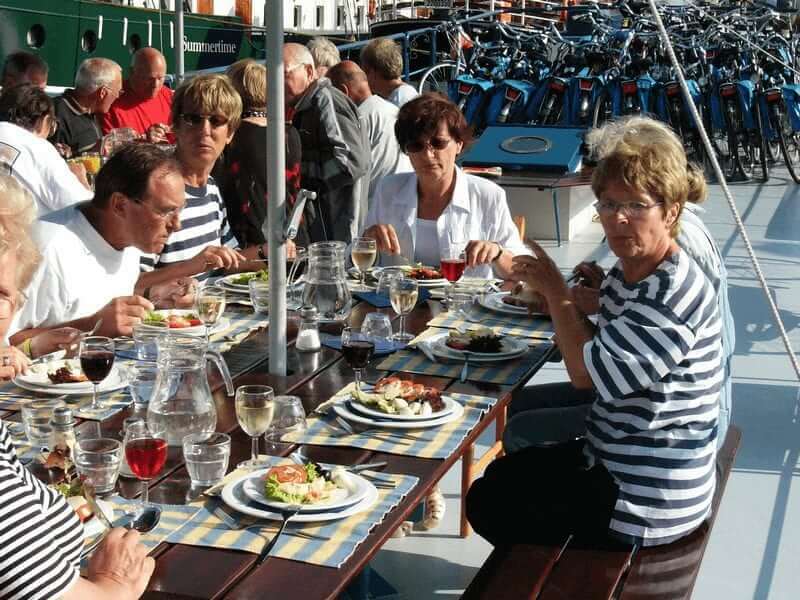 From that moment on, the Allure has been successfully hosting boat and bike tours in the Netherlands, Belgium and Germany. In all of the ten comfortable cabins you’ll find two twins or a double, and a private bathroom. And in the afternoon and evening you are more than welcome relax in the cozy lounge, but let’s not forget about the three course dinner you can enjoy in the restaurant each night. The bicycles on board are touring/trekking bikes of the brand Velo de Ville with 7 speed and handbrakes, a lock and pannier bag. Tours in Holland: E-Bikes: The e-bike is a Velo de Ville CEB 200 with Nexus 7 gears, 4 support levels and hand breaks only (or a comparable brand/model). E-bikes available (on request, limited stock, pending availability). Other bikes (e.g. e-Bikes, children’s bikes, “tag-a-longs”, tandems, child trailer etc.) and child’s seats (rear) are available after prior request (at time of booking) and after confirmation. Tours in Germany: Only a very limited amount of E-bikes is available on these tours. Special bicycles (e.g. children’s bicycles, tandems, etc.) are not available in this area and cannot be ordered for these tours. Due to limited space on deck guests can’t bring their own bicycles or E-bikes. This is only possible in exceptional cases when you need a special bicycle or tandem.